A long time ago there lived in a camp of Pawnees a certain poor boy. His father had only one pony. Once he had been a leading man in the tribe but now he seemed to be unlucky. When he went on the war-path he brought back nothing and when he fought he did nothing, and the people did not now look up to him. There was a chief's son who loved the poor boy and these two went together all the time. They were like brothers; they used to hunt together and go courting together, and when they were travelling the poor boy often rode one of the ponies of the chief's son, and the latter used to go to the poor boy's lodge and sleep there with him. Once the camp went off to hunt buffalo, and the poor boy and the chief's son rode together all the time. After the people had made camp at a certain place, the chiefs decided to stop here for four days because the buffalo were close by and they could kill plenty and dry the meat here. North of the camp was a hill on which grew many cedar-trees, and during the day the poor boy had overheard people saying that many Indians had been killed on that hill among those trees. They said that no one ought to go there for it was a dangerous place. That night the chief's son went over to his friend's lodge to sleep there, but before they went to bed he left the lodge for a time and while he was gone the poor boy, as he sat there waiting, began to think about himself and how unhappy he was. He remembered how poor he and his father were and how everybody looked down on them and despised them, and it did not seem to him that things would ever be any better for them than they were now. 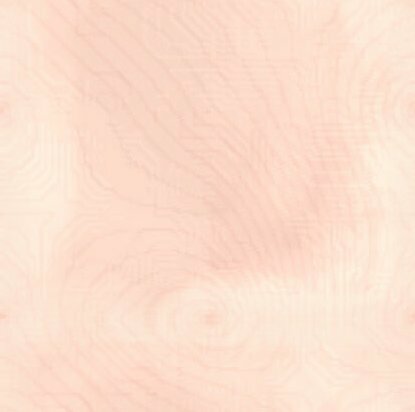 For a long time he sat there thinking about all these things, and the more he thought of them the worse they seemed, and at last he felt that he was no longer glad to live and he made up his mind to go up into those cedars. He went out of the lodge and started to go up toward the trees. It was bright moonlight, so that he could see well. Just before he reached the edge of the timber he crossed a ravine, and saw there many skeletons of people who had been killed. The ground was white with these bones. He went on into the cedars, and came to a ravine leading up the hills, and followed it. As he went on he saw before him a trail and followed it, and when he came to the head of the ravine there was a big hole in the bank, and the trail led to it. He stopped for a moment when he came to his hole, but then he went in, and when he had entered he saw there, sitting by the fire, a big she-bear and some little cubs. As the boy stood there looking at her, the she-bear said to him: "I am sorry that you have come here. My husband is the one who kills persons and brings them here for the children and me to eat. You had better go back to your people quickly, or he will eat you up. He has gone hunting, but he will soon be back again. If he finds you here, he will kill you." The poor boy said: "Well, I came here on purpose to be killed, and I give myself up to you. I shall be glad to be eaten by you. I am here ready to be killed. I am yours. Take me." The she-bear said: "Oh, I wish I could do something to save you, but I cannot. He is one of those bad bears -- a grizzly -- medicine. I can do nothing for you, but I will try. As soon as you hear any noise outside -- any one coming -- pick up that cub, the littlest one, and hold it in your arms. When he comes in he will tell you to put it down, but do not do so. Hold it tight; he loves that one best of all." All at once the boy heard outside the cave the noise of a bear snorting and grunting. The she-bear said, "Pick up the cub, quick; he is coming." The boy caught up the little bear, and held it tight to his breast. All at once the noise came to the mouth of the den and stopped. It was the Bear. The boy could hear him talking. He said: "Here! somebody has been about my house. I smell human beings. Yes, he even came in. Where is he? Let me see him, so that I may jump upon him and kill him." When he came in he saw the boy, and seemed very angry. He stood up on his hind feet and threw up his hands, and then came down again and struck his paws on the ground, and then rose up and snorted "whoof," and blew out red dust from his nostrils, and then came down and jumped about, and sometimes sprang toward the boy, as though he were going to seize him. He was very terrible, and the boy was very much afraid. The Bear called out to the boy in a loud voice: "How dare you take up my child and hold it? Let it go, or I will tear you to pieces and eat you." But the boy still held the cub. No matter what the Bear said or what he did, the boy held fast to the cub. When the Bear saw that the boy would not let the cub go, he became quiet, and no longer seemed angry. He said: "Boy, you are my son. Put down your brother, for now he is your brother. He shall go with you, he shall be your companion, and shall be with you always as your guide and helper. He has told me your story, and how you are poor, unhappy, and now he has kept you from being eaten up. I have taken pity on you, and we will send you back to your people, where you may do some good among them. My son, I am at the head of all these animal lodges, down at Pahuk and at Pahur and everywhere else. I am at the head; there is no animal living that is stronger than I; none that I cannot kill. If a man shoots at me, I make the arrow to fall from my skin without hurting me. Look up around my lodge. See these arrows, these guns, these leggings, these beads, and the medicine that men have brought, thinking to kill me; but I have killed them, and have taken these things, and keep them here. I knew that your people were coming to this place to hunt. I drove the buffalo over, so that the people should stop here and hunt and kill meat, in order that you might come to my lodge. I know all your feelings. I know that you are sorry for your poor father, my brother, and I wished you to come here, so that I might make you my son and give my power to you, so that you may become a great man among your people. I know that they are now killing buffalo, and that they will be camped here for four days. Now, my son, set your brother free. All the power that I have I give to you. I shall kill my son, your little brother there, and give you his skin to keep and to carry away with you, so that he may be your companion and may be with you always. Your brother, your friend at the camp, is looking for you, mourning for you, for he thinks you dead, but to-morrow night you shall see him, and shall tell him to rejoice for you and not to mourn. You shall tell him where you have been." The little bear that he was holding said to the boy: "It is all right now, brother; put me down. My father means what he says. I am glad that I am going to be with you, my brother." The boy put him down. Then the Bear said to his wife: "Get up. Take that gun." The she-bear took the gun, and they walked around the fire-place in a circle, and sang, and the boy looked on. The Bear took the gun and told the boy to look at them, and to watch carefully everything that they did. After a little he stopped, and shot his wife, and she fell down dead. Then he put down the gun, and went to the she-bear and put his mouth on the wound, and breathed on it and snorted "whoof," and sucked in his breath and took the bullet out, and went around the lodge, singing and making motions, and then he took hold of the she-bear and lifted her to her feet, and supported her, and pushed her around, and helped her, and at last she walked, and was well. Then he called the boy to him and said, "Now I will do the same thing to you." And he did the same thing to the boy, and brought him to life in the same way. Then he said, "That is one power I give you to-night." Then he gave the gun to the boy and went to the other side of the lodge, and sat up, and said, "Now I will open my mouth, and you shoot me right in the mouth." He opened his mouth, and the boy shot him, and he fell over. After a moment he got up on his feet and slapped his paws on his chest several times, and the bullet came out of his mouth, and he walked around the fireplace two or three times, and made motions and grunted, and then he was well. Then he took the boy in his arms, and hugged him and kissed him and breathed on him, and said: "Now I give you my power. Go over there and I will shoot you as you shot me. Do just as I did." The boy went over there, and the Bear shot him, and the boy did just as the Bear had done, and made himself well. The Bear then put an arrow in the gun and shot it at the boy, and when the smoke cleared away the boy found the arrow fast in his throat, the feather end sticking out. The Bear took it out and made him well, and gave him also this power. Then the Bear told him to load the gun with a ball and to shoot it at him, and he did so, and shot the Bear, but the lead was made flat and dropped to the ground. The bullet did not go into the Bear. 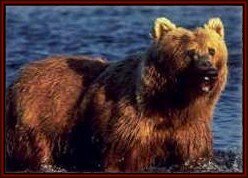 The Bear now told the boy to take the bow and arrow and to shoot at him with all his strength. The boy did this, but the arrow did not go through the Bear, but the spike rolled up and the shaft was split. The Bear said: "Now you see, my son, that the gun and the bow, the bullet and the arrow, cannot harm me. You shall have the same power. When you go into battle you shall not carry a gun nor arrows, for they are not mine, but you shall take this paint and put it all over your body, then put this feather on your head, and take this club, which is part of my jawbone. All these things have my power and medicine. When you are carrying these things your enemy cannot hurt you, even if you run right on to him; but with one stroke of this club you shall kill your enemy." That night the Bear said to him: "Hereafter you shall have the same feelings as the bear. When you get angry, you will have a grunt like a bear; and if you get too fierce, tushes like a bear's will stick out of your mouth, so that the people will know that you are very angry. You shall have my power, and you can go into any of the lodges of the animals, of which I am the chief." And he told him how to get into these lodges. That day they stayed in the Bear's lodge, and the Bear took the claw off from his little finger and gave it and a little bundle of medicine to the boy. He said, "Take this claw and this bundle of medicine and put them on a string and wear them on your neck always, the claw hanging in front." He taught him how to make plums grow on trees, and how to make ground-cherries come out of his mouth. That night he sent the boy back to the camp. He said: "Tell your father and mother not to mourn for you, for you will return in two days more. I have driven plenty of buffalo to this place, and they will kill them and dry the meat. Now go to the camp and get a pipe and some tobacco, and bring them here." The boy went back to the camp. When he went into the lodge his father and mother were glad to see him. He told them not to be anxious about him, and not to say anything about his having been away. Then he went out and found his brother, the chief's son, asleep. He said to him: "Wake up, brother. I want you to get some tobacco and a pipe from your father. Tell no one that it is for me. Bring it here. I want to smoke with you. I am going away again, but you must stay in camp. I will be back in a few days." The chief's son got the things and gave them to the boy. He wanted to go with him, but the poor boy would not let him. That same night the boy went back to the Bear's den, carrying with him the pipe and tobacco. After he went into the lodge he filled his pipe and lighted it, and he and the Bear smoked together. The Bear said to him: "After you have gone home, whenever you smoke, always point your pipe toward my den and ask me to smoke with you. After lighting your pipe, point it first to Atius Tirawat, and then blow a few whiffs to me. Then I shall know that you still remember me. All my power comes from Atius. He made me. There will be an end to my days as there is to those of every mortal. So long as I live I shall protect you; when I die of old age, you shall die too." After this he said, "Now bring my youngest boy here." The boy brought the little cub, and the Bear said, "Now kill him." The boy hesitated to do this. He did not want to kill the little bear, but it said to him: "Go on, my brother, kill me. After this I am going to be a spirit, and always to be with you." Then the boy killed him, and skinned him, and tanned his hide. ed medicine paint on the hide. When this was done the Bear told him to put his paint, his feathers, and his war-club in this hide, and to wrap them up and make a bundle of them. Then he said: "Now, my son, go to your people, and when you get home hang your bundle up at the back of the lodge, and let the people know nothing of all this. Keep it secret. Wherever you go, or wherever you are, I shall be with you." After they had reached their home, the boy told the chief's son that he wanted him to go off with him on the war-path. His brother said: "It is good. I will go." The poor boy took his bundle, and they started. After traveling many days they came to a camp of the enemy. They went into the village in the daytime, and took many horses and started away with them, riding hard. Soon the enemy pursued them, and at length they could see them coming, and it seemed as if they must soon overtake them. Then the poor boy got off his horse and stopped, telling his brother to go on, driving the horses. The boy had painted himself red over his whole body. He held his war-club in his hand, and had his feather tied on his head and the little bear-skin on his back. The enemy soon came up and tried to kill him, but they could not. He would run after one and kill him, and all the others would shoot at him with their arrows, but they could not hurt him, and at last they left him and went back, and he went on and overtook the chief's son. Then his brother saw that he had great power. After this they travelled on slowly, and at last reached the village. His brother told the people that this man was powerful, that they had taken the horses in broad daylight, and the young man had staid behind on foot and fought the enemy off, while he drove on the horses. A few days after they reached home a war-party of the enemy attacked the village. All the Pawnees went out to fight them, but the poor boy stayed behind in the lodge. He took down his bundle, filled the pipe, and pointed it first to Atius, and then toward the Bear's lodge, and smoked. Then he took the paint and mixed it with grease, and rubbed it all over his body except his face: that he painted black. Then he put the feather on his head and the little bear-robe on his back, and took his war-club in his hand and started out. The Bear had told him that in going into battle he must never start toward the east, but must attack going toward the west. So he went around, and came on the battle-field from one side. As he came up he saw that his people were having a hard time and were being driven back. There was one of the enemy who seemed to be the bravest of all. The poor boy rushed at this man and killed him with his club, and then ran back to his own line. When his people looked at him, and saw that it was really the poor boy who had just done so brave a deed, they knew that what the chief's son had said was true. When he started again to rush toward the enemy's line, all the Pawnees followed him. He ran among the enemy, and with his club killed one here and one there, and the enemy became afraid and ran, and the Pawnees followed and killed many of them. That night they returned to the village, rejoicing over the victory. Everybody was praising the young man. Old men were calling his name, young women were singing about him, and old women dancing before him. People no longer made fun of his father or mother, or of him. Now they looked upon him as a great and powerful person. The Bear had told him that when he wanted his name changed he must call himself Ku ruks la war uks ti, Medicine Bear. That night the Bear came to the boy in his sleep and spoke to him. He said: "My son, to-morrow the chief of the tribe is going to ask you to take his daughter for your wife, but you must not do this yet. I wish you to wait until you have done certain things. If you take a wife before that time, your power will go from you." The next day the chief came to Medicine Bear and asked him to marry his daughter, and told him the people wanted him to be their head chief. He refused. Some time after this all the different tribes that had been attacked by him joined forces and came down together to fight the Pawnees. All the people went out to meet them, but he stayed in his lodge and painted himself, and put his feather in his head and the bear-claw on his neck and his bear-skin on his back, and smoked as he always did, and took his club and went out. When he came to the battle, the Pawnees were having a hard time, because the enemy were so many. Medicine Bear charged, and killed a man, and then came back, and the second time he charged the people charged all together, following him, and they killed many and drove the enemy off, and those who had the fastest horses were the only ones who got away. The Pawnees went home to the village. Everybody rejoiced, and there were many scalp-dances. Now the poor boy was more highly thought of than ever. Even the chiefs bowed their heads when they saw him. They could not equal him. This time he called himself Ku ruks ti carish, Angry Bear. After the excitement had quieted down, one day the head chief said: "Medicine Bear, in all this tribe there is no chief who is equal to you. Sit down by my daughter. Take her for your wife, and take my place as chief. I and my wife will go out of this lodge, and it shall be yours. You shall be the chief of the tribe. Whatever you say we will abide by." The poor boy said: "My father, I will think about this. By morning I will let you know." In the night, before he slept, he filled the pipe and smoked as the Bear had told him to do, and then he went to bed. In dreams the Bear said to him: "My son, you have done what I wished you to do. Now the power will remain with you as long as you shall live. Now you can marry, if you will." But the boy was not yet ready to do this. The girl was very pretty, and he liked her, but he felt that before he married there were still some things that he must do. He called his brother and said to him, "Go, kill the fattest of the buffalo; bring it to me, and I will take a long journey with you." His brother went hunting and killed a buffalo, and brought the meat home, and they dried it and made a bundle of it. Medicine Bear told his brother to carry this bundle and a rawhide rope and a little hatchet, and they started on a journey toward the Missouri River . "Now take the bundle of meat, and I will let you down over the bank. You must put the meat on a ledge of the cliff, and when the birds come you must feed them. Give a piece to the first one that comes, and then take your sharp stick and get another piece, and so feed all the birds. They are the ones that have power, and they can take pity on you." So he let the chief's son down. The first bird that came was a buzzard, then an eagle, then hawks and owls, all kinds of birds that kill their prey. He fed them all. While he was doing this, the poor boy was above lying on top of the bank. Late in the afternoon, just as the sun was going down, he saw, far up the river, what looked like a flock of geese coming. They came nearer and nearer, and at last passed out of sight under the bank. Afterward, when he looked down on the river, he could see in the water red light as if it were all on fire, and as he lay on the bank he could hear down below him the sound of drumming and singing just as plain as could be, and all the time the chief's son was hanging there in front of the bank, and the poor boy would call down to him to cry and ask the animals to take pity on him. When Medicine Bear had done this, he started back and went home, leaving the chief's son hanging there. The chief's son stayed there all the night and all the next day, and for three days and nights, and on the night of the fourth day he fell asleep. When he awoke he was in a lodge. It was under the Missouri River . When he looked about him he saw that those in the lodge were all animals. There was the beaver, there was the otter, two buffalo, the antelope, hawks, owls, ermines, bears, frogs, woodpeckers, catfish -- all kinds of animals. On each side of the lodge was a little pool, and in each pool sat a goose, and every time they sang, the geese would shake their wings on the water, and it sounded just like drumming. The chief of the animals spoke to him, saying: "My son, at this time we can do nothing for you. We must first send our messenger up to the Bear's lodge to ask him what we may do for you." 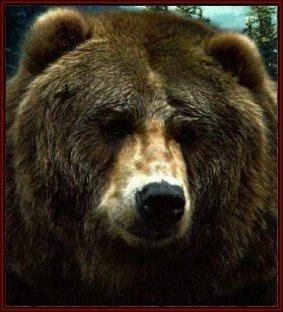 While he was saying this the Bear's servant entered the lodge and said: "My father, it is all right. Our father the Bear told me to say to you that his son has sent this young man to you, and you must exert all your power for him." Now the animals began to make ready to use their power to help the chief's son. First the Beaver talked to the young man, to tell him of his powers and his ways, so that he might perform wonderful acts. How he should take the branch of a tree and strike a man with its point and it would go through him, and then how to draw it out and to make the man well again. He gave him the power to do this. He taught him how to take a stick two feet long and swallow it, and then take it out again from his throat, and gave him this power. The Otter gave him the power, if his enemies ever attacked him, to break their arrows with his teeth and shoot back the shaft without a spike, and if he hit an enemy with the shaft, it would kill him. "The poison from your mouth will kill him," he said. The Ground-dog said: "My son, here is my little one. I give him to you. Take him, and if you have an enemy among the doctors in your tribe, take this little one down to the water early in the morning and dip his nose in the water, and when you take it out it will have a piece of liver in its mouth. The man who has tried to kill you will be found dead." The Owl said: "My son, I give you power to see in the night. When you go on the war-path and want to take horses, the night will be like daytime for you." The Hawk said: "My son, I give you power to run swiftly, and I give you my war-club, which is my wing. You shall strike your enemy with it only once, and the blow shall kill him. Take also this little black rope; you shall use it when you go on the war-path to catch horses. Take also this scalp which you see hanging down from my claw. You shall be a great man for scalping." For two days and two nights, they taught him the different kinds of power, and for two days and two nights they taught him the different kinds of roots and herbs for healing the sick. They said to him: "You shall be the great doctor of your people. Every now and then you must bring us tobacco, so that we can smoke." They further told him that at this time they could teach him only a little, but that afterward, one at a time, they would meet him out on the prairie, and would teach him more. At last they said: "Now it is time for you to go. Your friend has come, and is waiting for you out on the prairie." The Buffalo now stood up and said: "My son, I want to be with you always. I give you my robe. Wear it wherever you go, that the people may know that you come from this place." All the animals said, "We want to be with you too." Each one of the birds took off a feather and put it on the robe, and each animal put one of its claws on it, and some put medicine on it. In one of the holes the Beaver tied a little sweet-grass, and others did the same. By the time they were through, the robe was all covered with feathers and claws and smelt sweet. The animals had put their medicine on it so that it smelt sweet. Then the animals said, "Go, my son, to your people, and bring us something to smoke, so that we may be atisfied." Presently the chief's son found himself upon the bluff, facing his brother. His brother grasped him in his arms and said: "Oh, my brother, you smell nice. What a fine robe you have on! Look at all these feathers." They hugged each other. Then they went home together. The chief's son had a bundle that the animals had given him. Soon after this the Pawnees had a big doctors' dance. These boys went into the doctors' lodge and said: "Doctors, you are the head doctors, but we have come to-night to visit you. We want to do a few things ourselves." The doctors all said "Lau-a." The young men took seats close to the door, which is the most important place in this dance. All the doctors were surprised, and said "Uh!" The Bear boy got up first and began shooting at the chief's son, just as he had done with the Bear, and all the doctors thought he was powerful, shooting at this young man and curing him. When he got through, it was the other boy's turn. He would take a long sharp stick and thrust it through his brother, and then heal him again, and then take a knife and stab him, and then cure him. He did some powerful things, more so than his brother had done. After the doctors had seen all these things they all said, "Let us have these two for our head doctors." But the poor boy said: "Not so. This one who is sitting by me has more power than I have. He ought to be the head doctor, for I am a warrior, and can never stay in the camp to doctor people. My brother has gone into the animals' lodge, and they have given him more power than I possess." So the chief's son was chosen to be the head doctor. When the doctors' dance was over, the two brothers at once started to go to the animals' lodge, carrying with them tobacco and a pipe. When they got there, the chief's son told his brother to wait on the bank, that he was going down to take the tobacco and the pipe to his fathers. He jumped off the steep bank into the river, down into the door of the lodge, and went in. When they saw him all the animals slapped their mouths and called out. They were glad to see him. After smoking with them, he went back to his friend. After that the chief's son would go off by himself and would meet the animals on the hills. They would tell him about different roots, and how to doctor this disease and that. He would come back with some roots and herbs and put them away. Finally the head chief sent for the Bear man and said to him: "My son, I offered you my lodge, my daughter, and the whole tribe. Now take all this. Let me go out of this lodge and look for another one, and you stay here with my daughter." The young man said: "What of my brother? Send for the other chief. Let him give his daughter, his lodge, his people, to him, and this day we will accept your gifts to us. My brother will after this be the head doctor of this tribe." The other chief when asked to do this agreed, and it was so done. The Bear man went often on the warpath, but his brother staid at home, and fought against the enemy only when they attacked the village. He took charge of the doctors' lodge. The Bear man after this had some children, and when they had grown up he told his son the secrets of his power. He was now beginning to grow old, and his son went on the warpath, while he staid at home. One night he had a dream about his father the Bear. The Bear said to him: "My son, I made you great and powerful among your people. The hairs of my body are falling and soon I shall die. Then you too will die. Tell your son all the secret powers that I gave you. He shall keep the same power that you have had." Soon after this the old Bear must have died, for the man died. Before he died he said to his brother: "Do not mourn for me, for I shall always be near you. Take care of your people. Cure them when they are sick, and always be their chief." When the enemy came and attacked these people and wounded any, the chief's son was always there and always cured them. He was a great doctor. At last he also died, but his son had the same kind of power. But these two sons never had so great a power as their fathers. 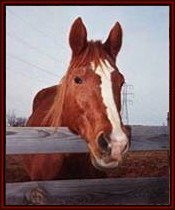 HORSE - The sleek and beautiful horse is a symbol for personal power. Real power inspires others and motivates you to act in life. False power seems "controlling" or "manipulative". 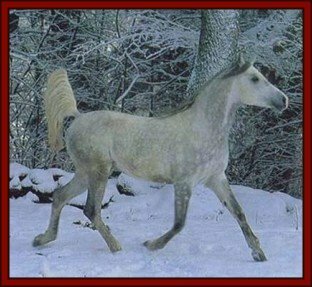 When you own your talents and speak your truth you will be able to run towards your dream with the joy and grace of the powerful horse. BEAR - The bear is the keeper of sleep, dreams, and inner wisdom. He goes into the cave and comes out renewed. There are times in life when we must go within to reassess our lives. If you are in a period of transition you may want to go into hibernation. You may want to sleep more, be less social, and less focused on your goals. This is normal. If you are in this period of life, draw on the strength of bear to know that everything has its season and that a time for action will come once again. For now, rest is in order. Bear is also the healer and herbalist. His curious nature motivates him to learn a great deal about the plants and their medicines. Invoke him for his healing, his powers of introspection, and his wisdom. When the people of the other towns heard of it they were very sorry and sent their headmen to persuade the Ani Tsaguhi to stay at home and not go into the woods to live. 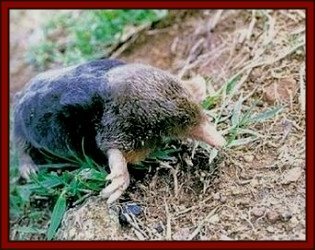 The messengers found them already on the way, and were surprised to notice that their bodies were beginning to be covered with hair like that of animals, because for seven days they had not taken human food and their nature was changing. The Ani Tsaguhi would not come back, but said, "We are going where there is always plenty to eat. Hereafter we shall be called Yonv(a) (bears), and when you yourselves are hungry come into the woods and call us and we shall shall come to give you our own flesh. You need not be afraid to kill us, for we shall live always." Then they taught the messengers the songs with which to call them and bear hunters have these songs still. When they had finished the songs, the Ani Tsaguhi started on again and the messengers turned back to the settlements, but after going a little way they looked back and saw a drove of bears going into the woods. Aho! We are all Related! The lynx is not a very prominent figure in mythology. No fables or legends concerning the lynx have been found . There are a few proverbs concerning the lynx like for example "to wangle something out of someone" in German means "jemandem etwas abluchsen", which reminds us that the lynx is a very intelligent and quick hunter (Schenda 1995). 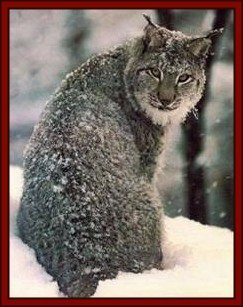 Lynx can see in the dark, noticing all those animals that are hidden by day. He teaches us to pay attention to what lies behind the scenes. If he comes into your life, look carefully at the people around you to make sure they are really who they seem to be. Look inside of yourself to discern your own truth. Lynx can show you hidden realities. This the wise Eagle’s words. A question he could not answer. Is not the top of the world. In the dirt, with the rest of us. 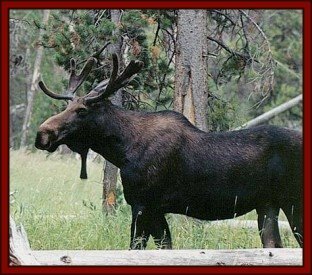 Moose is strong and proud. He bellows loudly announcing to all the world that he has arrived. He can teach you to be proud of your talents and to let the world know who you really are. Own your gifts, speak your truth and have the self-esteem to ask for what you want in life. 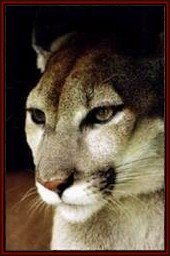 For the Zunis of Turtle Island ( Southwest United States ), Cougar was the Master Hunter, known for its high intelligence, its knowledge of other animal and life forms, its physical prowess, its strength of will, and its intuitive ability. Cougar sees the maintenance of its territory as essential for its survival. 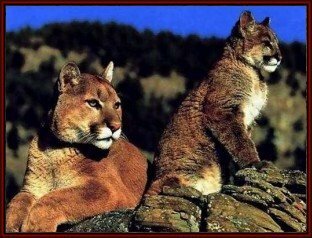 Poshaiankia, the father of the Medicine Societies, designated Cougar the duty of carrying messages from humans to the higher spirits, because of this animal’s personal power, superior knowledge, strength of will, and steadfastness. Therefore, Cougar represents the link between ourselves and the most powerful spirits in Zuni Mythology: Mother Earth, Father Sky, and the Originator of All. At the time Cougar comes into their lives, Cougar people are often shy loners. Though working Cougar will transform them outwardly, they always tend to be people who are "alone in a crowd." When seeking a goal, Cougar people are wary and secretive as they access the situation, and wait for the moment to strike, but when there is a choice to be made, they need to learn to take that leap, to assert themselves. Decisiveness is another Cougar lesson. Cougar tends to tire quickly when chasing prey, this is a message to conserve strength and not overdo, but instead rest and return to the hunt later. Despite Cougar's solitary nature in the wild, Cougars often become leaders of others. This tends to happen, not through seeking positions of power, but because others see them striding confidently upon our paths and follow. Cougar medicine will tend to attract lessons dealing with balance of power. There will be those who envy their growing strengths or wish to maintain the status quo. Cougar people should also be aware of their own tendency to be overly forceful at times, and their impatience with others whom they do not see as being proactive enough or not carrying their own weight. When Cougar people have a cause in mind, they leap forward with swiftness and power, and expect other to do so as well. At it's best expression, (much like the Hermit card in Tarot) Cougar energy says, "I am going there, follow me if you will, but do not follow in my footsteps, for your path must be your own. Seek instead your high goal and I will aid you on the way if I am able." The cougar is a sleek and graceful cat with amazing balance. He knows how to manage his energy by sitting for long periods of time waiting for prey, then pouncing when the right opportunity comes along. He teaches us about the balance between action and rest. He knows about right timing. The female cougar encourages the young to leave the den. She is always watchful and ready to save them from danger, but she allows them to grow in independence. This is the mark of the true leader. Mouse scurries about paying close attention to the little things in life that we often miss. Mouse shows us that it is sometimes important to analyze a situation before we act. He also reminds us to balance mind with heart because if we lose sight of the big picture, we risk getting into trouble! Beside a white lake, beneath a large grown willow tree, sat Iktomi on the bare ground. The heap of smoldering ashes told of a recent open fire. With ankles crossed together around a pot of soup, Iktomi bent over some delicious boiled fish. "How, how, my friend!" said a voice out of the wild rice. Iktomi started. He almost choked with his soup. 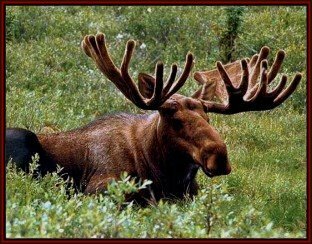 He peered through the long reeds from where he sat with his long horn spoon in mid-air. silent. He hummed an old dance-song and beat gently on the edge of the pot with his buffalo-horn spoon. The muskrat began to feel awkward before such lack of hospitality and wished himself under water. After many heart throbs Iktomi stopped drumming with his horn ladle, and looking upward into the muskrat's face, he said: "My friend, let us run a race to see who shall win this pot of fish. If I win, I shall not need to share it with you. If you win, you shall have half of it." Springing to his feet, Iktomi began at once to tighten the belt about his waist. unwelcome visitor; "I shall carry a large stone on my back. That will slacken my usual speed; and the race will be a fair one." Saying this he laid a firm hand upon the muskrat's shoulder and started off along the edge of the lake. When they reached the opposite side Iktomi pried about in search of a heavy stone. He found one half-buried in the shallow water. Pulling it out upon dry land, he wrapped it in his blanket. Off with a springing bound, he ran swiftly toward the goal. Tufts of reeds and grass fell flat under his feet. Hardly had they raised their heads when Iktomi was many paces gone. Soon he reached the heap of cold ashes. Iktomi halted stiff as if he had struck an invisible cliff. His black eyes showed a ring of white about them as he stared at the empty ground. There was no pot of boiled fish! There was no water-man in sight! "Oh, if only I had shared my food like a real Dakota, I would not have lost it all! 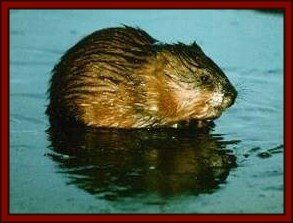 Why did I not know the muskrat would run through the water? He swims faster than I could ever run! That is what he has done. He has laughed at me for carrying a weight on my back while he shot hither like an arrow!" Crying thus to himself, Iktomi stepped to the water's brink. He stooped forward with a hand on each bent knee and peeped far into the deep water. "There!" he exclaimed, "I see you, my friend, sitting with your ankles wound around my little pot of fish! My friend, I am hungry. Give me a bone!"